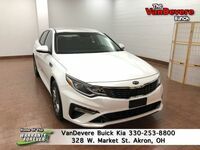 There are a lot of sedan options out there, but few can actually match the Kia Optima in terms of value or features. Don’t believe us? 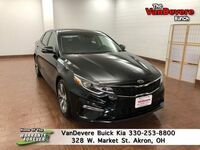 See exactly what we mean as we compare the 2019 Kia Optima vs 2019 Toyota Camry. 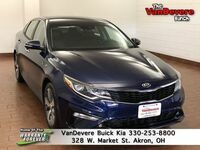 Though both may be capable sedans, the Kia Optima comes out as the clear winner and we will demonstrate that thoroughly below. For now though, just look at the two side by side. Isn’t it clear that the Optima is a classy well-designed machine and the Camry is just weird? The rest of the car looks okay, but the grille is at best confused and at worst hideous. 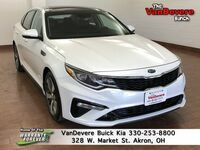 If you are already convinced that the Optima is right for you, then click the link below to see a new Optima inventory in Akron at VanDevere Kia. Otherwise, keep reading to find out what puts the Kia Optima on top. Who makes the better sedan: Kia or Toyota? 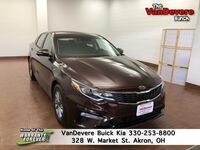 If cost is a concern for you, then the Kia Optima already comes out ahead as it is almost a full $1,000 more affordable than the Camry. That price gap gets even larger as you go up in trim as the top Camry costs $34,600 compared to the $31,990 MSRP of the top Optima SX Turbo. Do you get more interior room or luxury for that extra money in the Camry? No, you do not. On top of that, the Camry doesn’t even offer leather seats. The Optima, on the other hand, gives you both leather and even premium Nappa leather at the higher trim levels. Speaking of the interior, the Optima comes standard with a large 8-inch infotainment screen. You have to pay for a higher trim on the Camry to get a touchscreen that large. What’s more, the Optima comes standard with both Apple CarPlay and Android Auto. The Camry doesn’t offer Android Auto at all on any trim level. 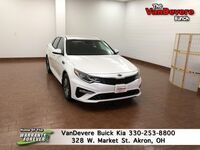 To top off this conversation on value, the Optima gives you an impressive warranty that has 10 years or 100,000 miles of powertrain coverage along with 5 years or 60,000 miles of bumper-to-bumper coverage. The Camry falls far short on the powertrain coverage and only gives you 3 years or 36,000 miles of bumper-to-bumper coverage.